I know. 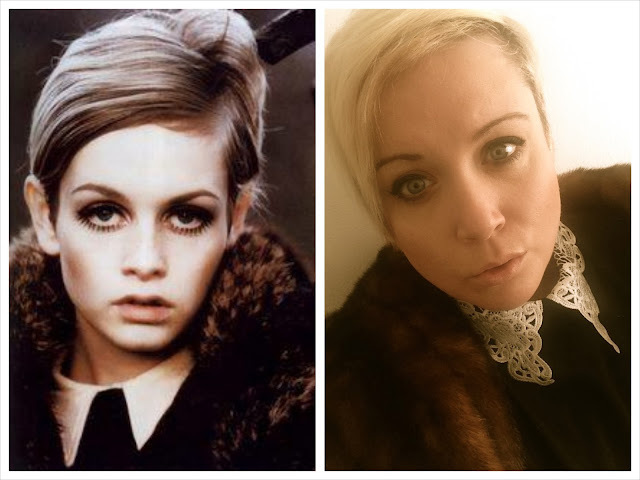 The prospect of big old chunky thighs Beebs channelling Twiggy, named so because of her twig like figure, is a somewhat hilarious prospect, but when I saw this pic the other day I was so inspired I just wanted to have a go recreating that cool 60s look. I know, it's hilarious. I look like her chubby slightly slaggy old aunt, but it was worth a shot!! HA!! And I had fun doing it. Although never ask me to pose with my mouth slightly open again because I look very strange indeed!! !